About Product : A minimalistic dobby weave design with a suitable silhouette that enchants it and the colour, is all that’s needed to make a classic and elegant wear. Chennimalai is Bharathi Devarajan's native village, 27 kms away from Erode. 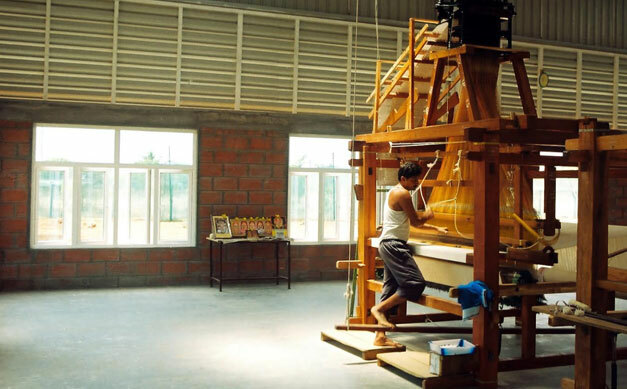 It is a handloom village, which had over 100,000 handloom weavers a decade ago. However, the threat of commercialization led to a decline in the number of weavers. The art form was on the verge of extinction. That is when a handloom fabric manufacturing company began with a magnificent vision – to revive the Chennimalai cluster. It was called the Five P Venture. Residents of a once thriving village, Chennimalai weavers (Tamil Nadu, India) boasted of the most exquisite handloom designs. The powerlooms had long replaced the handlooms. It was in 2012 that my dad, Mr. Devarajan, along with trusted friends and associates came together, and instrumented a change to happen. A business venture took place with a focus on preserving India’s heritage and also giving back some love to the community. 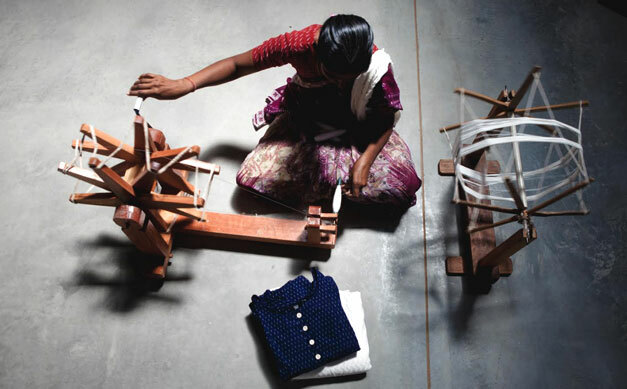 All the fabrics at Five P are woven by hand using traditional and eco-friendly methods. 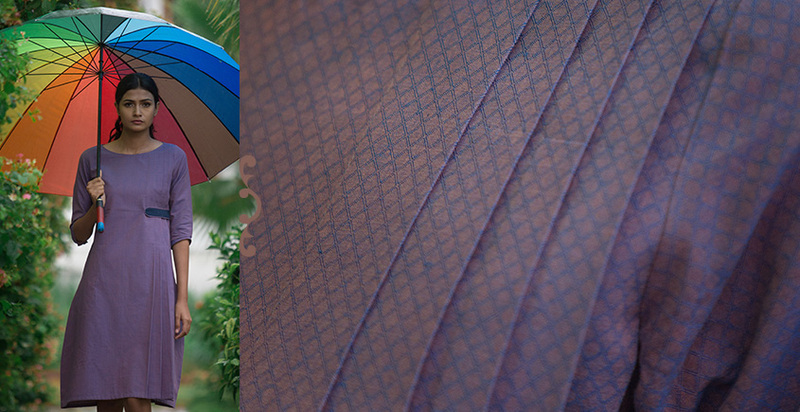 Thus began the manufacturing of beautiful fabrics and designs to meet the demands of an eco-conscious consumer base. With such a background, Mr. B. Devrajan had a support manufacturing system in place and that is when he thought he could come up with a brand for the Indian ethnic market. Fabindia, Malkha and Good Earth, he says, were some brands that inspired him. He wanted the brand name to be a tamil word, one which would touch the local hearts before touching corners of the world. Hence, he came up with the name NOOL by hand (‘Nool’ – meaning ‘thread’ in tamil). For many generations, the artisans of Chennimalai have been weaving some very exquisite fabrics that were known for their craftsmanship, texture, design and durability. Today, the evolution of fashion has created consumers that are too fickle and too fast, to take a moment and appreciate the detail and passion that these artisans put into their creations. 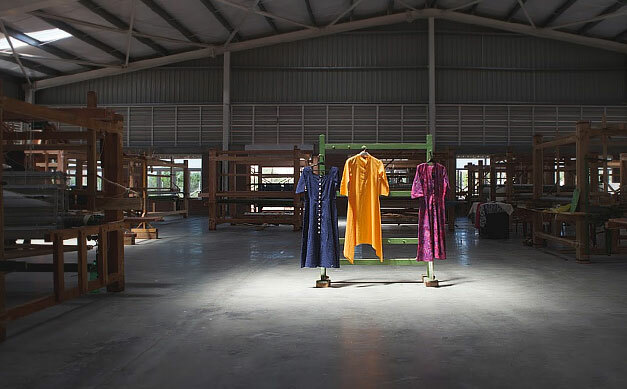 NOOL finds an exciting way to reclaim this engagement between artisans and consumers that once existed for handlooms. The traditional skills are timeless in their appeal, but they need to stay connected to remain vibrant and sustainable. NOOL merely re-formulates the essence of this “connection” using an exhilarating fusion of western designs and eastern skills. All our weavers are from the Chennimalai village. Now there are 20 weavers, which comprise both Jacquard and Dobby weavers. 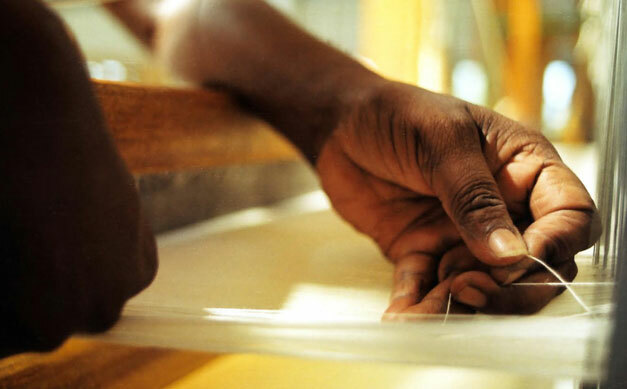 Originally trained to weave the coarse cotton and synthetic bed sheets, they have now been trained under us to weave linen, denim and finer count materials. And they do learn, with so much passion. One of the main missing factors in handlooms was the lack of modern appeal to woo every kind of consumer. With some technical and design help, we at NOOL began the process of sourcing raw materials and worked diligently with the weavers. An Australian team of three had come in to do a case study on the Chennimalai cluster. They found that there is immense potential in the cluster and developed Handwoven Organic Cotton Indigo Natural Dyed Denim with them. Instruction A minimalistic dobby weave design with a suitable silhouette that enchants it and the colour, is all that’s needed to make a classic and elegant wear. Product details Products in stock will be shipped within 2-3 days.Product on order will be shipped within 1-2 week from the date of purchase. Chennimalai is Bharathi Devarajan's native village, 27 kms away from Erode. It is a handloom villa..